Stacy Gilbert, Assistant Dean of Student Development, is one of those loyal staff members that makes Tech an excellent institution. 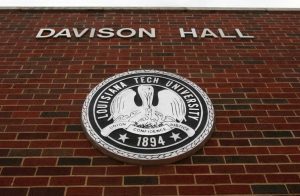 She has had her hand in shaping the Freshmen Convocation, Tenet Medallions, First Year Experience, the Bulldog Achievement Resource Center (BARC) and more. Now, Stacy has been part of a campus-wide team in developing a comprehensive plan for quality enhancement of our freshman year experience that will have a major impact on the success of our students. I asked Stacy to be a guest writer for my blog this week and to share a little about what we call “BLUE FIRE.” Here is Stacy’s brief overview: Can you feel it? It’s not quite a full buzz, but it is close…it began quietly with a few construction projects, new parking and some “curb appeal”, and soon, very soon, the Fall 2016 academic year will begin. Each year, and I have personally experienced twenty-one (GASP! ), I think it can’t get any better…and then it does! I am especially excited to meet the first-year students this year as they will become part of something truly special. This fall, we will begin our SACSCOC Quality Enhancement Plan known as BLUE FIRE! 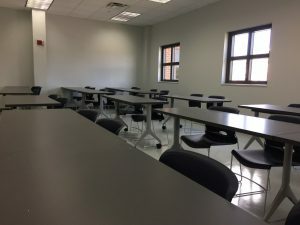 This project will focus on enhancing communication skills during the first-year by way of a COMM 101 course and a companion FYE 100 course which will largely be taught in a renovated Davison Hall. Technology is a huge part of the fabric of our culture and has enhanced learning and communication in many positive ways. However, there are some aspects of communication that have not flourished, but are still vital components of the work environment. Communication skills are consistently ranked as one of the most important skills by employers when hiring graduates. We want to make certain that Louisiana Tech graduates are well-equipped in all aspects of communications, and we believe BLUE FIRE will provide the foundation. The COMM 101 course will provide the context for the skills, while the FYE 100 course will provide a safe environment for practicing communication skills. An additional component includes a collaborative work-space known as the BARC COMMons, also located in Davison Hall. 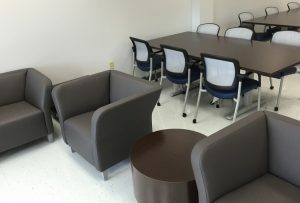 The BARC COMMons will allow students a space to practice communication skills such as, oral communications (presentations), and small group collaboration. We are excited to watch this space evolve to the needs of students across all courses and disciplines. The classrooms are collaborative, the companion courses are collaborative and the BARC COMMons embraces a collaborative atmosphere. Our student body is extraordinary! We are so excited to put our BLUE FIRE Mentors to work for our first-year students by helping them adjust to campus life! The BLUE FIRE Mentors will be assigned to an FYE course and will also maintain office hours in the BARC COMMons. The mentors will also enroll in a professional development course to assist them in their mentorship roles. Louisiana Tech’s TECH 2020 Strategic Plan was set over ten years ago, stating, “Louisiana Tech University will be recognized as a top public research university with an unparalleled, integrated educational experience.” BLUE FIRE is just one example of educational experiences developed to prepare graduates for successful careers. The administration, faculty and staff are committed to providing the incoming Class of 2016 with an “unparalleled experience” when they graduate in the year 2020 because… “nothing less will do”.